Over 160 years ago, the present director Ulrich Hilgefort’s great-great-grandfather founded the nucleus of the company in Dinklage. The forge of J. H. Hilgefort was still based directly in the old town centre. 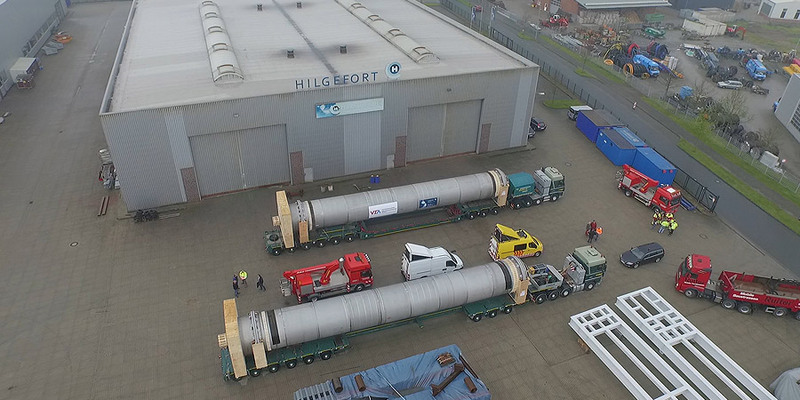 Today, Hilgefort GmbH operates in the industrial district of Dinklage on premises covering more than 75,000 square metres and delivers plant parts and machines to all corners of the globe. 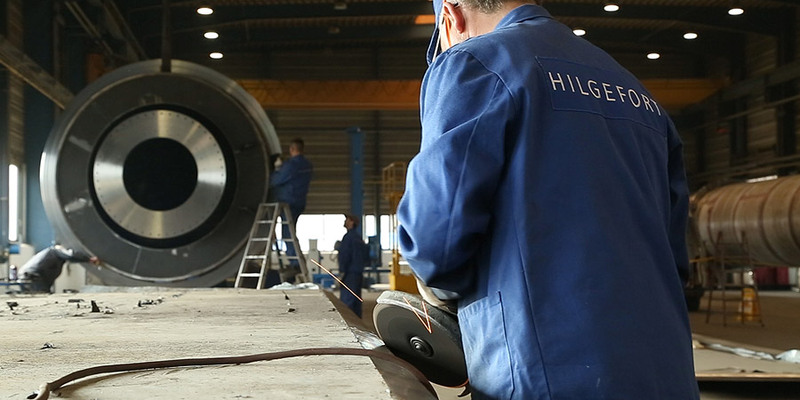 Hilgefort produces and assembles all steel, special steel, copper and aluminium components imaginable, ranging from simple individual components through to complex systems, for customers in a wide range of industries. The maximum possible dimensions for one-piece components are a diameter of up to 7 m and longer in length of up to 100 m. Larger assemblies are manufactured in segmented designs. This facilitates movement of unit weights up to 300 tons on the rotary devices (hydraulic lift for loading the trailer). The capacity of each of the hall cranes is around 100 tons of unit weight. Hilgefort produced two material hoppers and components for a condensing tower in the Duisburg-Schwelgern steel works. The material hoppers, which would subsequently be used to fill the blast furnace with ore, coke and all other raw materials, weigh 120 tons each and were manufactured from sheet thicknesses of up to 120 mm. Hilgefort manufactured an extraction system for the hall roof of an electric steel plant, which weighed a total of approximately 2000 tons. 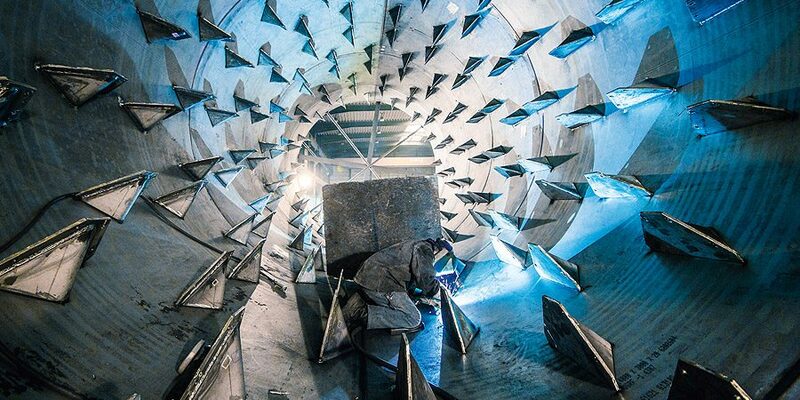 The raw-gas pipeline measured 5.3 m in diameter and the exhaust gas stack on the blower house was 96 m tall in total. Hilgefort processes steels, special steels, aluminium and copper. The machinery can be used to process sheet thicknesses ranging from 2 mm to 300 mm. The maximum dimensions for one-piece components are a diameter of up to 7 m and a length of up to 100 m. Larger assemblies are manufactured in segmented designs. This facilitates movement of unit weights up to 300 tons on the rotary devices (hydraulic lift for loading the trailer). The capacity of each of the hall cranes is around 100 tons of unit weight.